You take the high road and I will take the low road.This hot air balloon floats by, as the man in the buggy heads toward me. 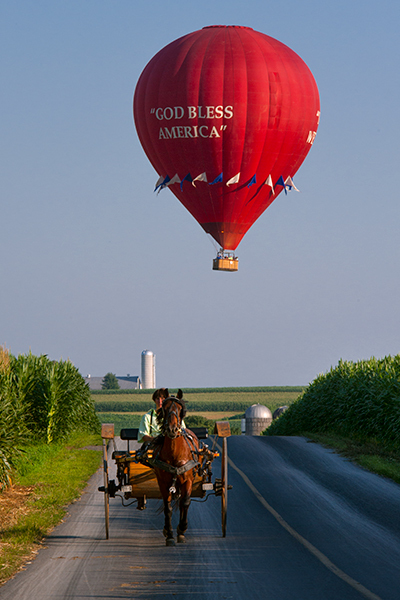 Hi, that is a cool to get the buggy and the hot air balloon together. It is a great picture. Tomorrow we will be stopping in Lancaster. What a wonderful shot. You timed that well.